This application is a good complement to the IFC Exporter UI client app, also available on the Exchange store. However, it is not required to get the latest version of that application when installing this application. 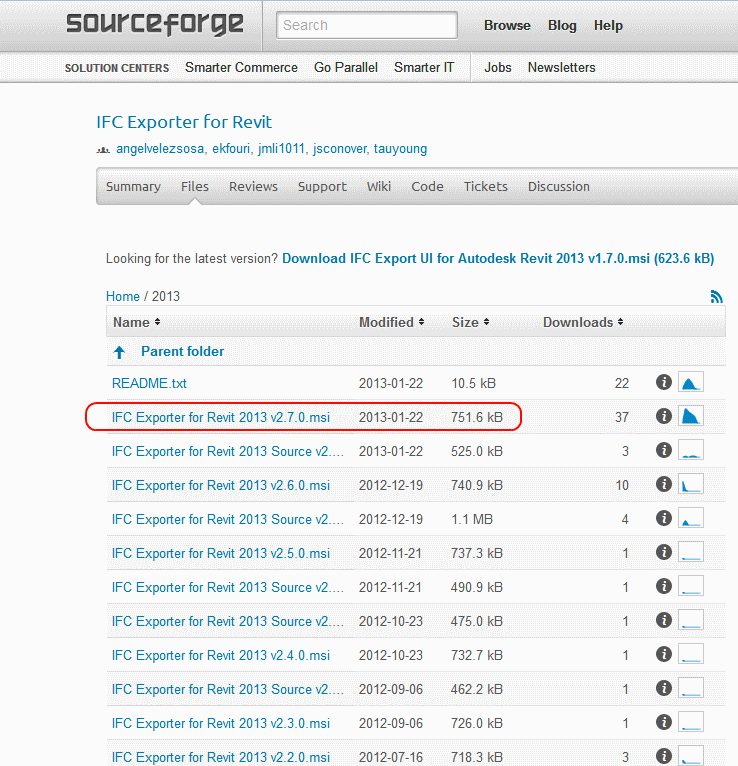 Nor is it required to use this alternate UI when getting the latest IFC Exporter UI. 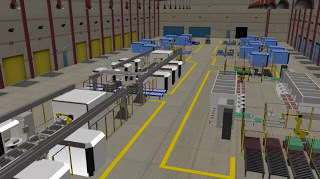 Adaptive Components from Grasshopper to Revit via IFC – it CAN be done! Now here is something cool – Jon Mirtschin of Geometry Gym has been working on an IFC importer add-in for Revit (my previous post here) (current version 0.0.23 download direct here, or source page here). What made me go ‘wow’ today was this: using this add-in, you can take an IFC file and import it as a Generic Model Adaptive Component in Revit 2012. 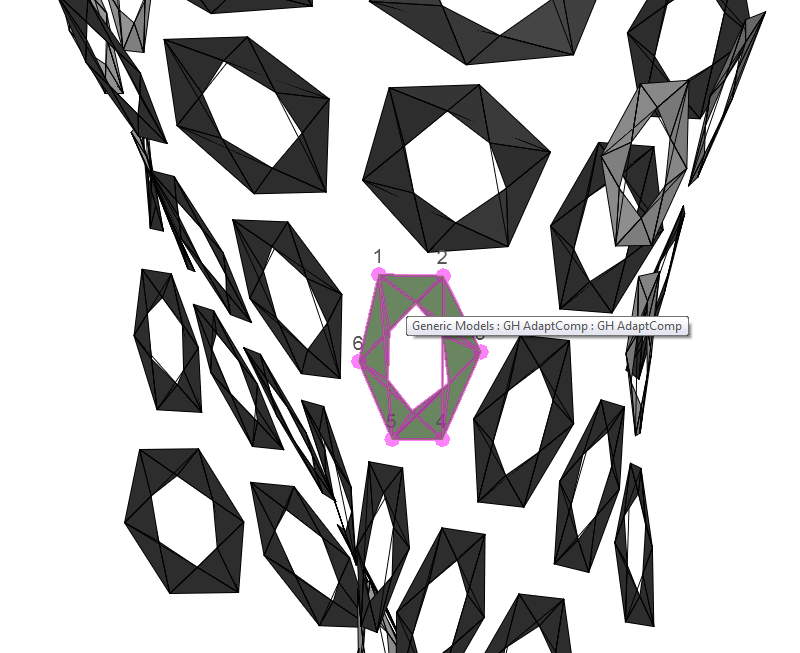 You can select the points and adjust it just like ANY Adaptive Component – but it came from Grasshopper via IFC! You will need to email Jon to get a license XML file. Paste that into the appropriate folder. Now, run the Geometry Gym IFC Importer again. The IFC will now appear as a bunch of Adaptive Component instances that you can select and modify! Here’s the Grasshopper model, and here’s the IFC file. 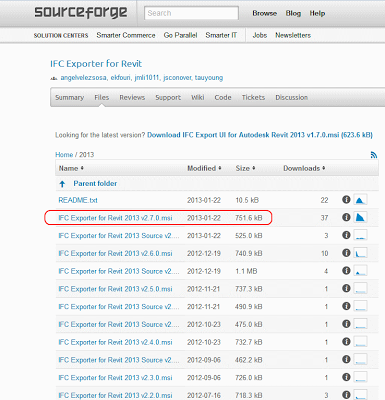 importing IFC2x4. 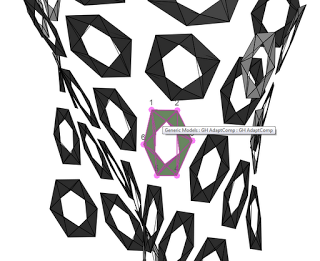 Thanks to Geometry Gym, and Jon Mirtschin in particular, an IFC importer add-on for Revit 2012 is under development that aims to support IFC2x4 with nurbs profile / perimeter exchange. Note, Revit 2012 64 bit Addon to import IFC files. This is an early public release for initial feedback and comment. Addon undergoing rapid development. Please use with care and send suggestions and observations. Additional entities are added to the geometry resources. (1) The definition of manifold boundary representation has been enhanced to include advanced B-reps, based on NURBS. 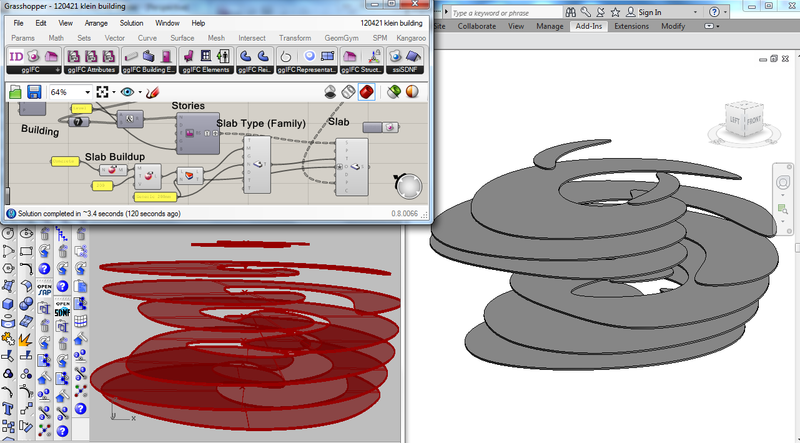 Therefore b-spline surfaces and b-spline curves are added. (2) The curve bounded surface based on bounding p-curves (curves defined in the parametric space of a surface) is added to allow any surface to be bound; it was restricted to only planar surfaces before. (3) Tapered solid of extrusion and tapered solid of revolution are now included to define simple taper, restricted to one section and to topological similarity of the start and end profile. (4) A fixed reference swept area solid is added to define an advance sweep along a directrix with a fixed orientation of the profile. The swept disk solid has been simplified by implicit start and end points on the directrix. (5) Elementary surfaces have been enhanced by incorporation or cylindrical surfaces.